6S is seen by many as the ‘next step’ in the evolution of workplace waste elimination and efficiency improvement. As with any type of change, however, there are also some people who are resistant to the idea. Those who have adopted the 5S methodology may believe that 6S is an unnecessary move. There is not necessarily any right or wrong answer to this great debate, but it is a good idea to take some time to learn as much as possible about both options. Sort – Getting everything the way it should be helps to eliminate waste. If something is not needed to get a job done in one area, it should be removed. Straighten – Arranging all the necessary items in a way that is logical and allows them to be accessed easily. Identifying the location each item should go will also help ensure an area remains straightened up. Shine – Shine, or clean, the work area regularly. This brings many benefits to the facility. First, clean tools and equipment are likely to last longer so that eliminates the waste of having to replace them. Second, when things are clean it is easier to identify defects or problems, which can then be addressed properly. Standardize – Creating standards within the workplace can optimize efficiencies and reduce the risk for defects or other problems. Whenever possible processes should be standardized across shifts, departments and even facilities. Sustain – Sustaining the improvements that are made is an important part of 5S. In addition, sustained progress is also key to this methodology so this “S” includes the idea of going back over the first four S’s and finding further ways to improve. What is the 6th S? Now that you understand the 5S methodology the question is what is the sixth S in 6S? The sixth S stands for Safety. Improving the safety of a facility is obviously a very good thing and should always be the goal of any company. That being said, however, many people question whether or not this fits in with the 5S strategies. Reduces Downtime – Improvements to safety will reduce the number of accidents or injuries. Since accidents and injuries are a major cause of downtime in many facilities, this will cut back on a significant amount of wasted time in the facility. Reduced Expenses – In addition to downtime, accidents and injuries can be very costly to a facility. They can cause damage to machinery, which costs money to be fixed and injuries often lead to higher workmen’s compensation premiums. Not to mention the cost of having an injured employee out of work for a time. Improved Worker Confidence – When employees know that the employer values their safety they are more likely to contribute at higher levels. Putting an added emphasis to safety in the facility will have a lot of people producing higher quality work. OSHA Compliance – Many of the OSHA regulations that are in place are there to help protect employees. If you are already focusing on safety (through 6S) than you’ll be less likely to be fined by a regulatory agency. This, of course, reduces the expenses associated with dealing with OSHA. Identifying Safety Issues – Whenever you have an increased focus on safety you are going to be able to identify potential issues more easily. When this is done, of course, you will be able to resolve those hazards more quickly. Incorporating safety into an existing methodology is a great way to help spot potential hazards and reduce or eliminate them. In addition to these things, having safety be a part of the 6S strategy helps to maintain an ongoing focus on facility safety that is otherwise difficult. Even facilities that take steps to improve safety often do so in spurts rather than in a continuous and predictable way. Adding safety into the 5S methodology (and making it 6S) will help ensure that safety improvements are regularly undertaken throughout the facility. Those who want to keep 5S the way it is are not against improving safety in the workplace. They simply don’t think that the 5S methodology is the place to focus on it. Most people who want to keep 5S the way it is argue that adding in safety as a 6th S will actually make the entire process more confusing, which is going to reduce its effectiveness. One might say that while safety improvements are absolutely a positive thing, it should have its own methodology or strategy rather than hijacking a proven system (5S). After all, nobody would argue that all good things in a facility should be worked into the 5S systems. Some people even say that the only reason anyone is even thinking about adding safety to the 5S system is because it already starts with an S. This, however, is not a good reason to add something in. Sort – If a work area is a mess it is more likely that someone will reach for something and get cut or otherwise hurt by an unseen hazard. 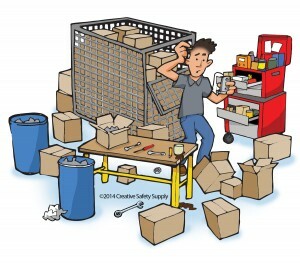 Sorting a work area properly will improve safety. Straighten – When things are in their proper place it is less likely that someone will grab the wrong tool, for example. Using the wrong tool can be dangerous, so straightening things properly can indeed improve safety. Shine – A cleaner work area is certainly a safer work area. Cleaning floors reduces the risk of slips and falls. Cleaning tools allows you to get a better grip on them. Standardize – When things are done the same way by everyone there is less risk of surprises or other unexpected events. This will therefore help to improve the safety of each process that is properly standardized. Sustain – Sustained improvement of each of the above options will naturally lead to a safer workplace. While it is certainly clear that safety is ‘built in’ to each of the 5S’s, that does not necessarily mean that it should not get its own S. While the other tasks can improve safety, they are not dedicated specifically to safety. The argument for having the 6th S is that some things are specifically done just to improve safety, but don’t fit in any of the other S’s. Having the 6th S allows facilities to take steps only to improve safety, which is absolutely a good thing. That being said, however, having 6S in your facility is not the only way to maintain a good focus on improved safety. It is just one of many options to consider so make sure you are taking the time to see whether or not 6S is a better option than 5S based on the specific situation in your facility. When it comes right down to it, one really needs to look at safety and see if it fits logically in with the other S’s in their own 5S system. If it doesn’t, than the system should not be updated to 6S and things should be left as they are. If it does, however, than it can be a good idea to update your 5S strategies to become 6S. This article isn’t likely to end the great debate over 6S vs. 5S but it will hopefully give facilities the information to decide whether or not updating their own implementation is a good idea. If a facility finds that they can operate more efficiently and more safely with 6S than they can with 5S, it is clearly the smart choice. 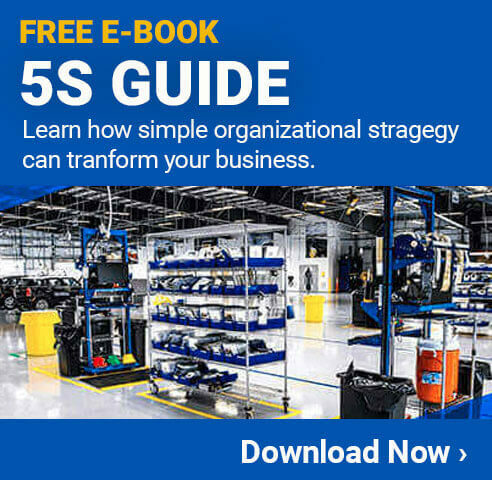 Even if the overall manufacturing industry does not implement 6S methodologies, individual faculties can still find great benefits in doing so. Taking some time to really think about how your facility can benefit most from eliminating waste and improving safety will help you to decide what to do. Whatever you decide, always remember that safety is an essential component of running any company properly. Make sure to check out Creative Safety Supply for all your 5S, 6S, and safety product needs.